R.W. 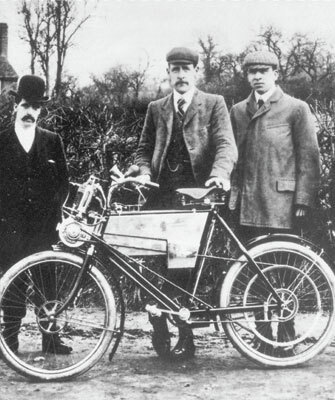 Smith and Albert Eadie take over the Townsend Cycle Company in Redditch, UK. 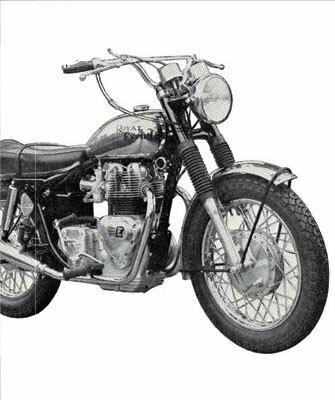 Soon after, they start supplying precision machine parts to the Royal Enfield Small Arms Factory in Enfield, Middlesex. Their undertaking is renamed the Enfield Manufacturing Company Limited. 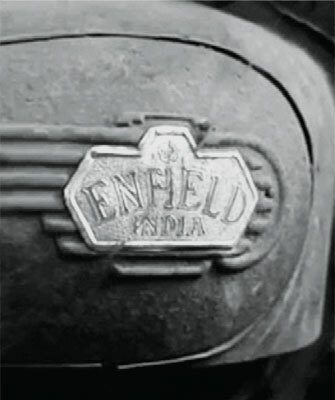 Enfield Manufacturing Ltd. becomes Royal Enfield – ‘Royal’ being taken from the Royal Small Arms Company. The trademark ‘Made like a gun’ is introduced. 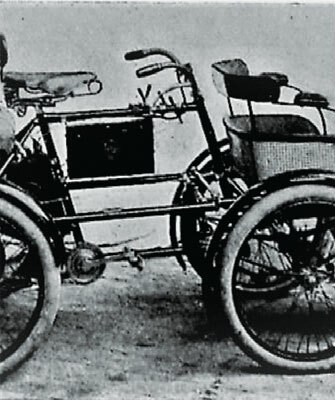 R. W. Smith designs a prototype motorised vehicle, a four wheel bicycle known as a quadricycle. It uses a proprietary 1 1/2 hp De Dion engine. 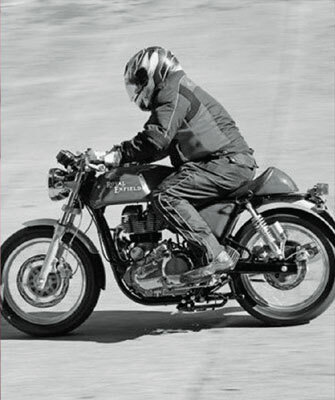 Royal Enfield enters motorsport when one of its quadricycles enters a 1000 Mile Trial. 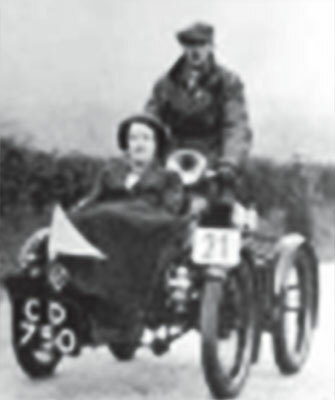 The event does much to persuade the British public about the viability of motorised transport. 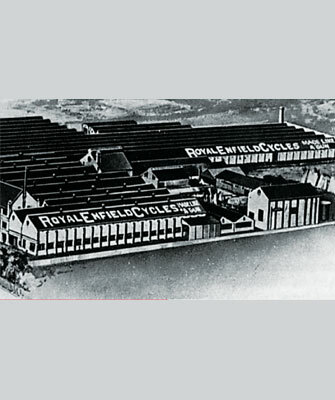 The first Royal Enfield motorcycle is produced. 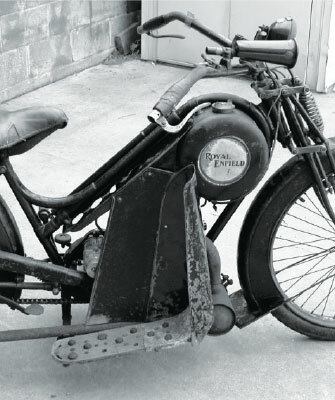 Designed by R. W. Smith and Frenchman Jules Gotiet, it has a 1 1/2 hp Minerva engine mounted in front of the steering head. The final drive is at the rear wheel by means of a long rawhide belt. Royal Enfield’s first v-twin is launched at the Stanley Cycle Show. 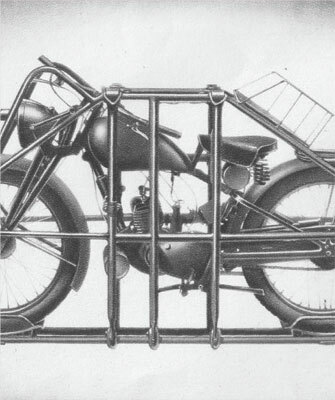 The engine is a 2 1/4 hp unit made by the Swiss company, Motosacoche. 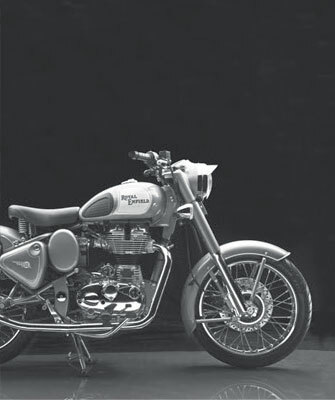 Royal Enfield’s first 2-stroke motorcycle goes into full production. 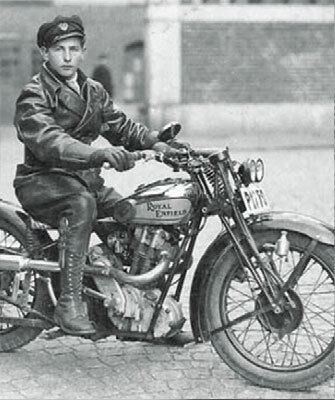 As Britain becomes more deeply involved in World War I, production ceases on all other Royal Enfield motorcycles barring this machine and the company’s biggest motorcycle, the 770cc 6 hp V-twin. 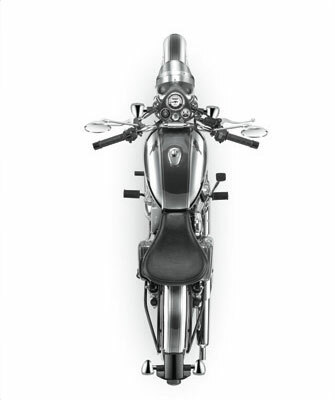 Continuous development results in a range of 8 models, including the launch of the Sports Model 351, the first Royal Enfield 350cc OHV 4-strokemotorcycle with foot operated gear change. It is powered by a JAP engine. A 225cc 2-stroke stepthrough ‘Ladies Model’ is also released. A major fire breaks out at the 18-acre Redditch factory. The company’s own fire brigade manages to fight flames that threaten to engulf the entire plant. 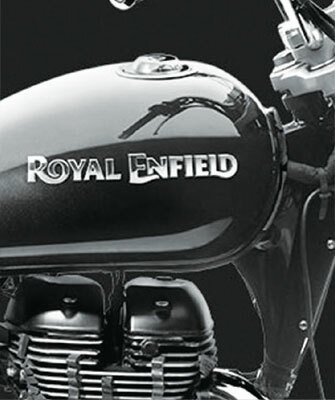 Royal Enfield adopts saddle tanks in place of outmoded flat tanks. It is also one of the first manufacturers to change its front fork system from a Druid design to centre-sprung girder forks. The decade begins with a diverse eleven model range, from the 225cc 2-stroke Model A to the 976cc V-twin Model K. Also, the new 350 and 500cc side-valve and overhead valve machines with dry-sump lubrication are also produced. 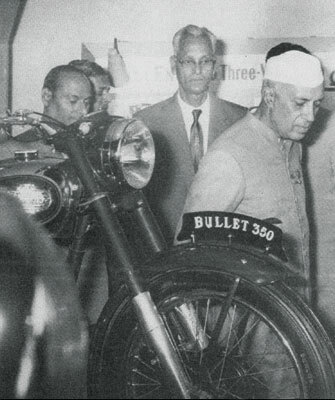 The legendary “Bullet” motorcycle is born. 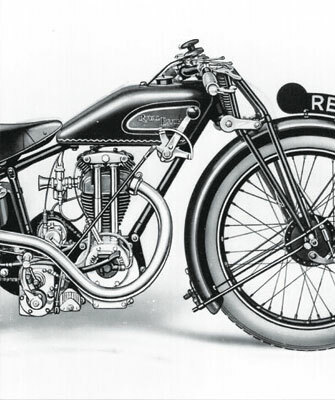 It is first displayed in November 1932 at the important Earls Court Motorcycle Show in London. 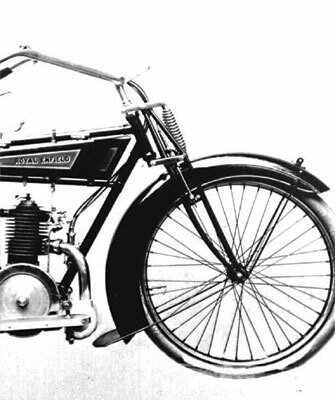 Three versions: 250, 350 and 500cc are available, all with inclined ‘sloper’ engines, twinported cylinder heads, foot operated gear change and high compression pistons. Two years following the demise of Albert Eadie, founding partner R.W. Smith passes away. 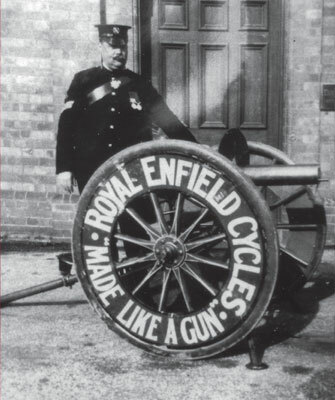 Major Frank Smith assumes control at Enfield. Cecil Barrow, riding a 500cc Bullet at the Isle of Man TT, finishes in 8th place averaging 74 mph. It is Royal Enfield’s last factory sponsored entry in the event. 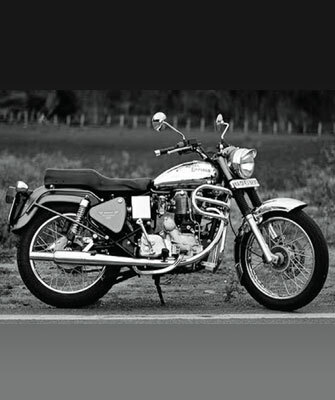 The 500cc Bullet is radically changed the following year with the release of a new sporting version, the Model JF, featuring a 4-valve cylinder head. 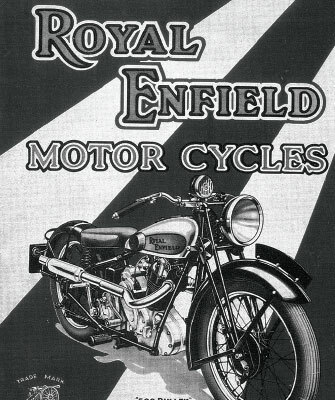 Royal Enfield produces large quantities of motorcycles and bicycles during the Second World War. The most iconic military model is the 125cc ‘Airborne’ motorcycle known as the Flying Flea. This 125cc 2-stroke can be loaded into a specially fabricated parachute cradle and dropped with paratroops behind enemy lines. 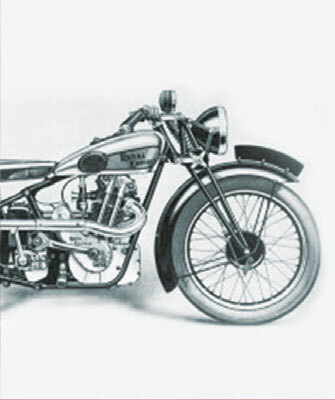 The 350cc Bullet prototype, with radical swinging arm rear suspension is previewed in the Colmore Cup Trial of March 1948. Two Bullets form part of the victorious British team in the 1948 ISDT (International Six Day Trial), held in Italy. Both their riders win gold medals. The new 350cc Bullet and 500 Twin models are launched in the UK. Both bikes share the same frame, swinging arm suspension, telescopic front forks and gearbox. 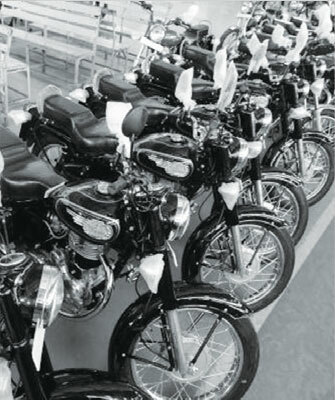 K. R. Sundaram Iyer launches Madras Motors to import British motorcycles into India. 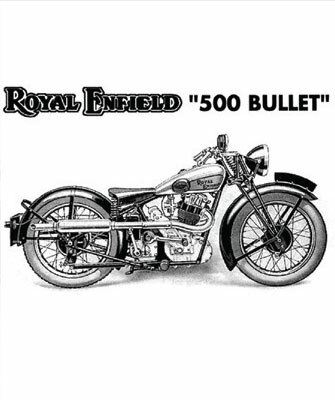 Besides Norton and Matchless machines, he sells Royal Enfields. Madras Motors receives an order from the Indian Army for 800 350cc Bullets. 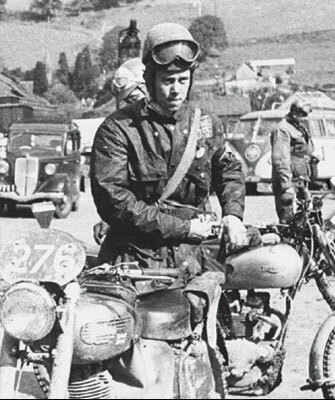 The motorcycles arrive from Redditch in early 1953 and prove to be a great success, being both hardy and easy to maintain. Johnny Brittain wins the prestigious Scottish Six Days Trial on his 350cc Bullet, “HNP 331”. 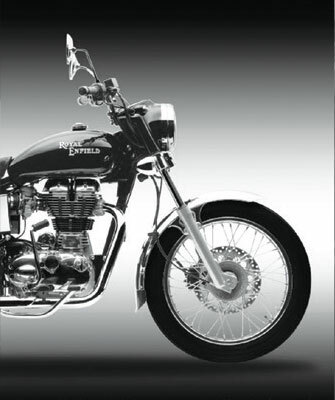 The Redditch company partners Madras Motors in India to form ‘Enfield India’. Work commences on the construction of a purposebuilt factory at Tiruvottiyur, near Madras. The Tiruvottiyur factory opens and Bullets begin to be manufactured under license. 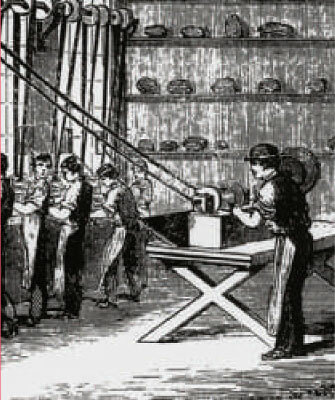 Early production is based on machines that come from England in kit form which are then assembled in Madras. A total of 163 Bullets are built by the end of the year. Johnny Brittain wins the Scottish Six Days Trial on a Bullet for the second time and also finishes top of the British Trials Championship. 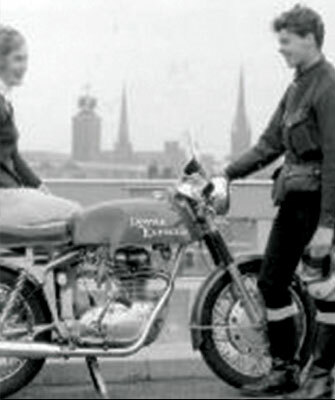 The 250cc Crusader model is launched in Britain. 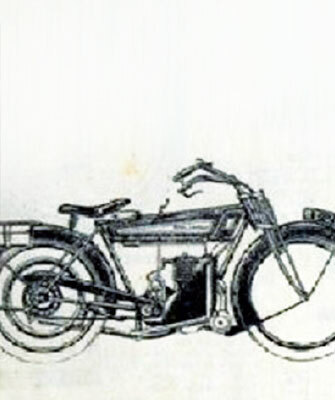 Producing 13 bhp, the motorcycle features a unit construction engine and alternator electrics with coil ignition. The iconic Continental GT café racer is launched to great acclaim when a team of photojournalists ride it from John ‘o Groats to Lands End in under 24 hours, by way of 7 laps at the Silverstone circuit. The GT features a racing petrol tank, clip-on handlebars, rear sets, a humped race seat, rev counter and a swept-back exhaust. With only two models left in production at the start of the year – the 250cc Continental GT and the 736cc Interceptor – Royal Enfield’s Redditch facility closes down. Production of the Interceptor continues at Enfield’s underground facility in Bradford on Avon. The Enfield Cycle Company in the UK goes out of business. The remaining Interceptor engines are sold to the Rickman Brothers and fit in proprietary Metisse frames. Approximately 90 of these machines are built. Production in India continues without interruption. Royal Enfield India begins exporting the 350cc Bullet to the UK and Europe. 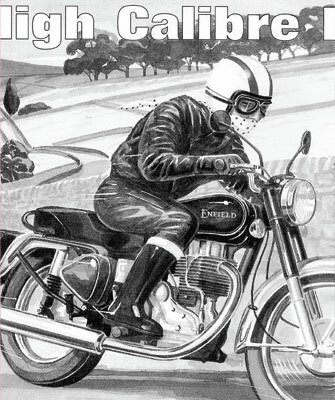 Sales grow rapidly as the bikes develop a following amongst classic British motorcycle enthusiasts. A new 24 bhp 500cc Bullet is released. The bike is primarily aimed at export markets, where it is available in Classic, Deluxe and Superstar trim along with the 350. 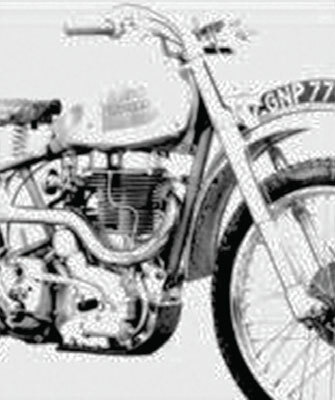 Enfield India produces the world’s first and only mass-manufactured diesel motorcycle. 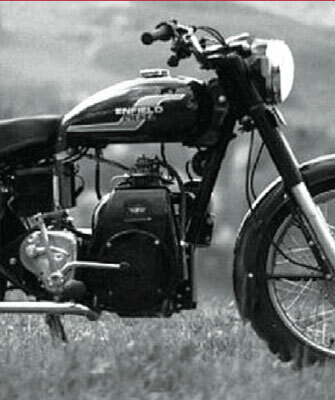 Known as the Enfield Diesel, it used a highly fuel efficient 325cc power unit installed in the standard Bullet rolling chassis. The Eicher Group acquires Enfield India Limited. 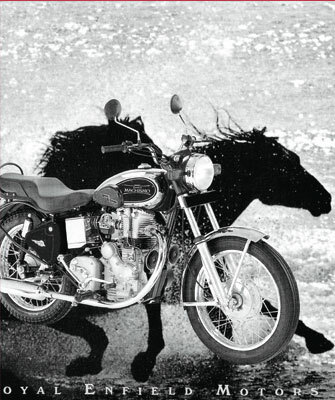 The company is renamed Royal Enfield Motors Limited. Forty Royal Enfield motorcycles tour Khardung La, the world’s highest motorable pass, setting a precedent for epic rides in some of the world’s most difficult terrain. Utilising the design skills of Austrian experts AVL, production of a revised 350cc all-aluminum leanburn Bullet engine, known as the A350, begins at a new Royal Enfield plant near Jaipur, Rajasthan. 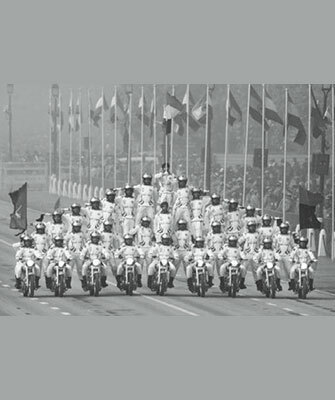 The Daredevils, the motorcycle display team of the Indian Army Corps of Signals, Jabalpur, forms a human pyramid of 201 men on ten 350cc Enfield motorcycles, riding a distance of more than 200 metres. The Thunderbird, a stylish lean burn cruiser is launched in India. 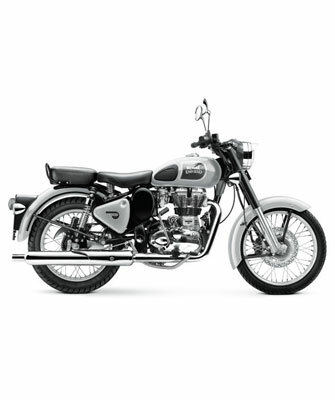 It features the first 5-speed gearbox used on a Royal Enfield since 1965 in Redditch. More than a 1000 Royal Enfield motorcycles of all ages descend on Redditch for the Royal Enfield Owner’s Club Redditch Revisited event. The Electra X, an export Bullet with a 500cc version of the all-alloy lean burn engine, goes on sale. The retrostyled ‘Bullet Machismo’ is rated the ‘No.1 Cruiser’ in a TNS Autocar survey. 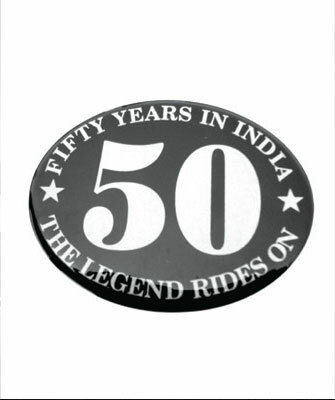 Royal Enfield celebrates its 50th anniversary in India. Royal Enfield begins exporting the Classic, India’s first 500cc EFI, Euro IIIcompliant motorcycle, to European markets. 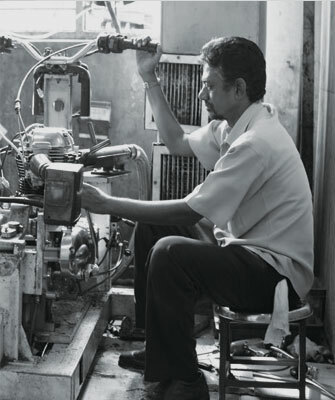 The Thunderbird Twinspark is launched with the new Unit Construction Engine (UCE) in India. The 500cc UCE engine is launched in India. The retro-styled Classic version achieves cult status immediately and sales grow rapidly. 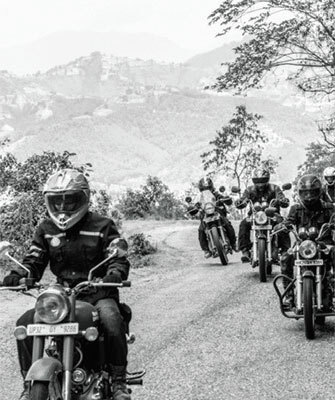 The company launches its first annual ‘One Ride’, where all Royal Enfield riders across the world are encouraged to go for a ride on the first Sunday in April. 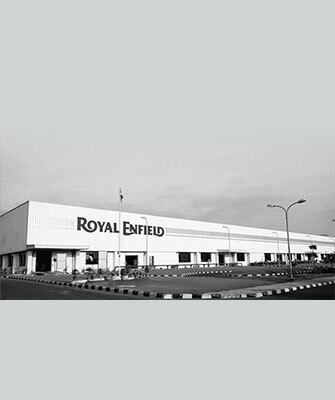 Royal Enfield acquires 50 acres of land at Oragadam near Chennai for its new plant. 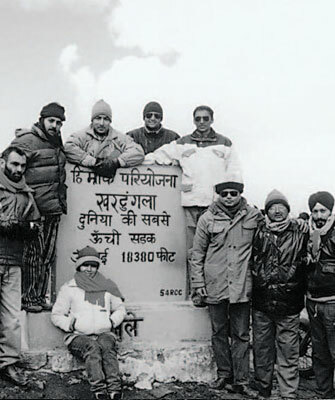 A factory organised trip crosses the border with ‘Tour of Nepal’. 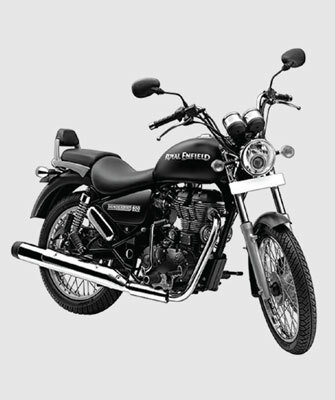 Royal Enfield launches its first highway cruiser, the all-black Thunderbird 500. Work on the new Oragadam factory continues briskly while the Tiruvottiyur plant sets new production records. 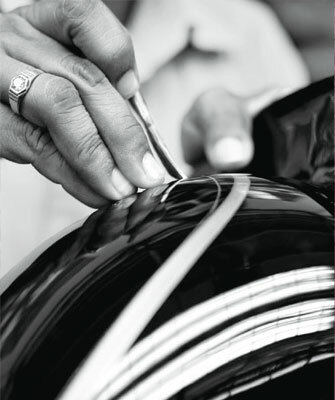 Royal Enfield commences manufacturing at its second facility in Oragadam, Tamil Nadu. With increased capacity, the state-of-art factory will be the nucleus of the Company’s global ambitions in the future. Forty-eight years after developing the world’s first production café racer, Royal Enfield rolls out the all-new Continental GT. Rockers, critics and riders agree that it is the most fun one could ever have on a motorcycle. 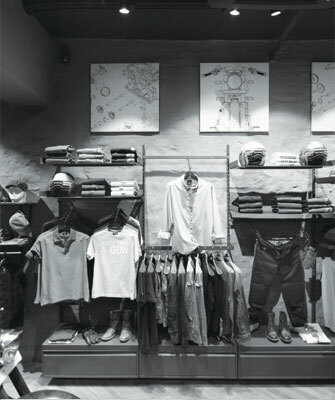 Royal Enfield introduces a new retail experience with the opening of the first-of-itskind exclusive gear store at Khan Market, New Delhi. Royal Enfield acquires erstwhile collaborators Harris Performance of the U.K., a motorcycle engineering and design firm to enhance its engineering and product design capabilities. 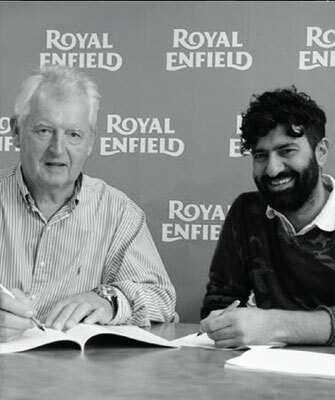 Royal Enfield sets up its first direct distribution subsidiary outside India, in North America. 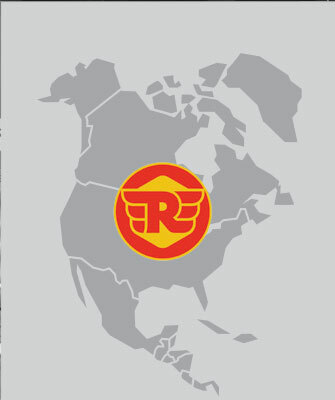 Royal Enfield’s North American headquarters are located in Milwaukee, Wisconsin. 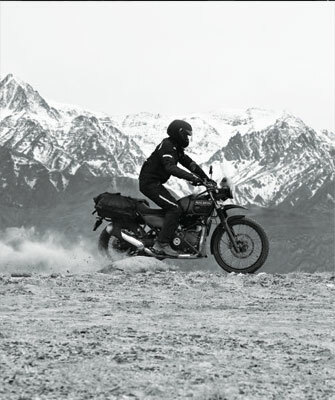 Royal Enfield debuts its first purpose-built motorcycle, the Himalayan. With the all-new LS410 engine and terrain-tested suspension, it promises the ride of a lifetime on all roads and no roads. 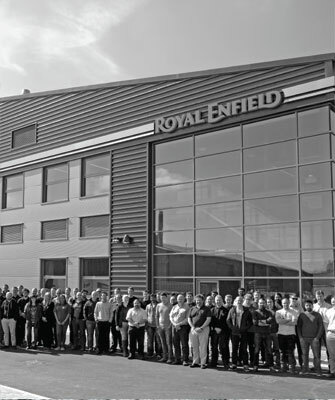 Royal Enfield moves into its state-of-the-art Tech Centre at Leicester, UK to design and develop new motorcycle platforms for global market.